Whether you just finished a workout or are about to do an activity that requires a lot of energy, eating a healthy diet is essential! Eating foods high in thiamin (vitamin B1), vitamin B12, iron, folate/folic acid (vitamin B9), protein, and riboflavin can help to promote strength within your body. Cruciferous vegetables, such as kale, broccoli, brussel sprouts, cabbage, and bok choy are important to include within your diet to add a good dose of protein. Beans are a great source of protein, iron, fiber, and other vitamins and minerals! 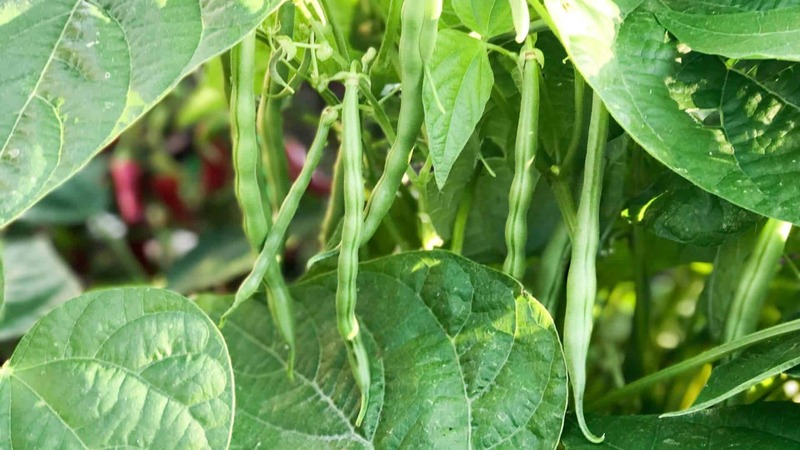 Beans can be grown as bush or pole. Peas are a good source of protein to help build up your strength. Squashes such as acorn squash, butternut squash, pumpkin, spaghetti squash, and summer squash (zucchini) are extremely nutritious! They contain many vitamins and minerals that are important to promote your strength. See all the fruits, vegetables, and herbs that are known to be a great addition into your diet to promote strength in our FREE iOS, Android, or Universal Web App! ⟵Use Your 🌱 Thinned Down Seedlings!